A sea of red poured into Stambaugh Stadium to see the Youngstown State University football team (1-1) as it looked for its first win on the season against Robert Morris University (1-1) at home. 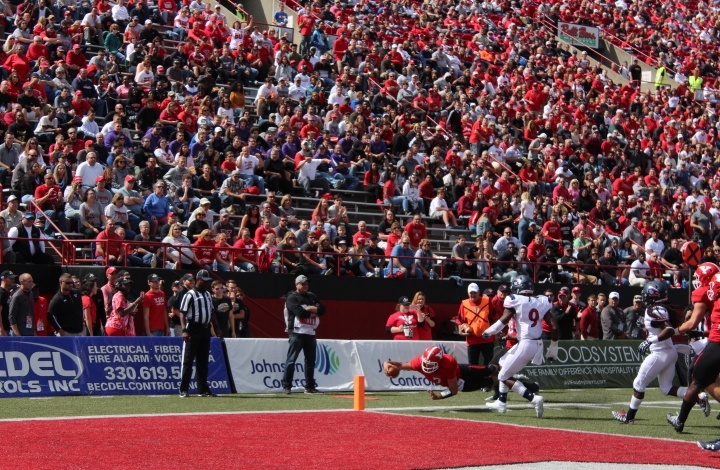 Coming off a nail-biting loss last week, YSU pulled off a 30-0 victory over RMU. After receiving the kickoff, quarterback Hunter Wells hit tight end Chris Durkin quickly for a 29-yard that put YSU into Robert Morris territory. Despite the efforts, the drive would end in with a 23-yard field goal by kicker Zak Kennedy to put the Penguins up 3-0 early in the first quarter. YSU got the ball back immediately on a fumble recovery by Terray Bryant on the kickoff. YSU failed again to score a touchdown instead. YSU settled for another field goal by Kennedy. This time a 30-yard FG for a 6-0 lead with 2:45 left in first. A noticeable absence in the game was Wells as backup quarterback Nathan Mays was given the starting job after Wells went down with a shoulder injury. After the game, YSU head coach Bo Pelini gave some insight into the injury status of Wells. Mays topped off an 11-play, 80-yard drive by running the ball in for a 10-yard run to put YSU up 13-0 early in the second quarter. 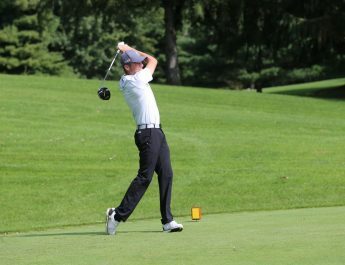 RMU would show signs of life in its next outing. Unfortunately for the Colonials, kicker Nick Bisceglina missed a 39-yard field goal attempt. YSU led at halftime 13-0. Youngstown State held RMU to 76 total yards with 63 rushing yards. The Penguins managed 227 total yards and 119 on the ground to end the first half. Though, YSU was up at half, safety Kyle Hegedus pointed out some key missteps for the Penguins to correct. An 8-yard sack by defensive end Justus Reed that forced RMU into fourth-and-50 punt on its opening drive of the second half. After an impressive YSU drive, the Penguins settled for its third field goal by Kennedy to put it up 16-0 with 4:47 left in the third quarter. RMU showed life again later in the third connecting on its biggest pass play of the game. A 32-yard pass from quarterback Jimmy Walker to wide receiver Tavin Allison on to YSU’s 30-yard line. 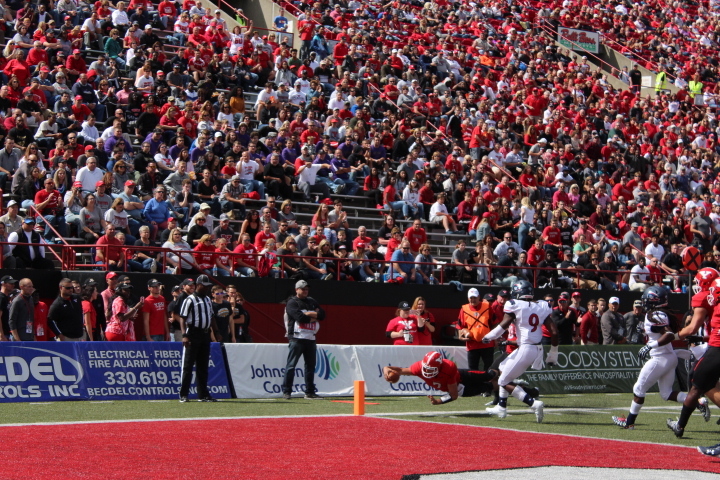 Despite the big gain, RMU missed another field goal opportunity keeping YSU’s shutout alive through three quarters. Early in the fourth, Mays connected with tight end Kevin Rader on a 5-yard touchdown pass putting YSU up 23-0 with 10:45 left in the fourth. The pass marked the first career touchdown pass for Mays. RMU would fail to answer with the Penguins smothering defense forcing RMU to punt on fourth-and-7 after a quick 5-play drive. With 1:29 left in the fourth, the Penguins managed to score yet again. Tevin McCaster scored from 10 yards out to put YSU up 30-0. Youngstown State faces their next matchup at home against Central Connecticut State University at 2:00 p.m., Sept. 16.